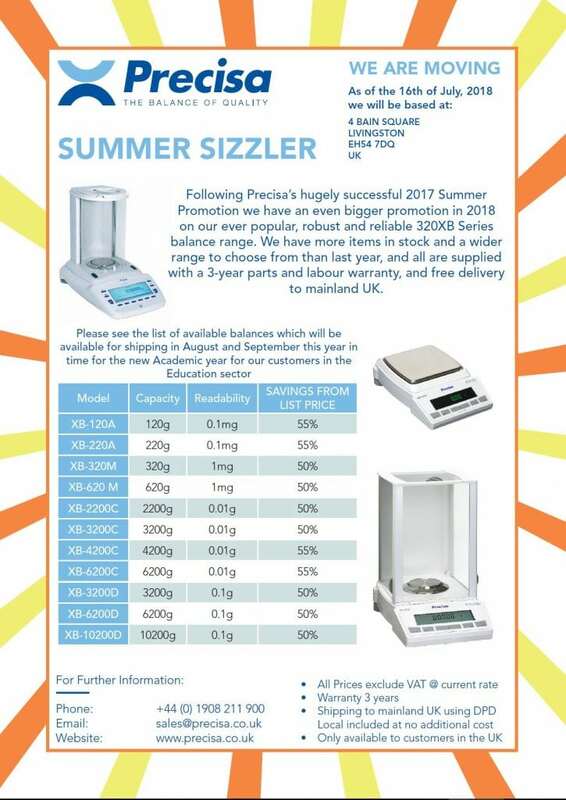 After the success of our last Summer campaign with the Precisa range of XB balances, we have reinitiated the campaign with larger quantities of units and a wider balance range to meet a more diverse range of applications and requirements. Our attached flyer provides you with more information on the range of models available with capacities and readabilities easily displayed for you to review. Contact our Sales team for more information either via phone on 01908 211 900 or email sales@precisa.co.uk.